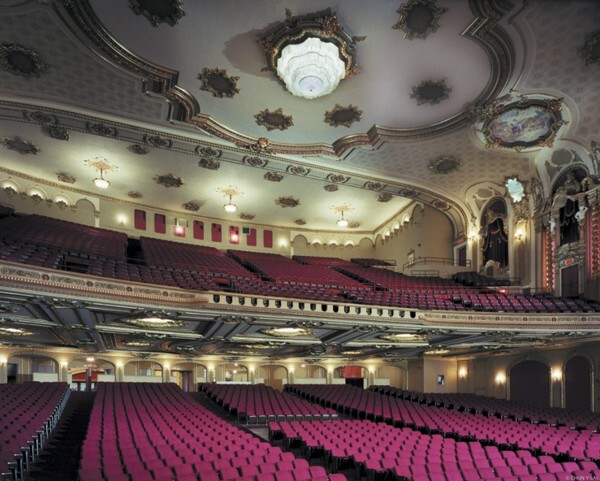 Initially, to investigate the original decorative finishes for the Palace Theatre in Albany, New York that were buried under cocoa-brown paint. Following this, to restore the decorative painting and conserve the historic murals. 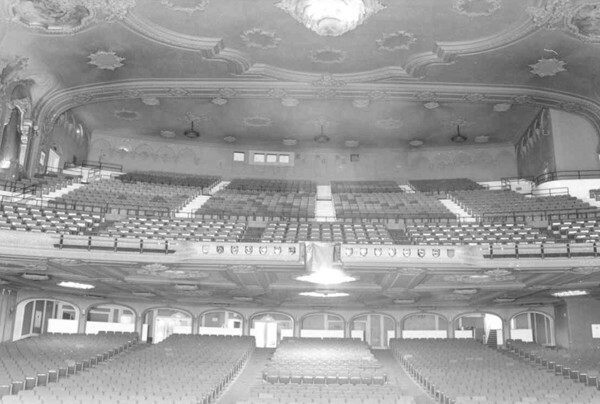 A myriad of colors and stenciled decoration was uncovered throughout the theatre, analyzed, color-matched and traced. 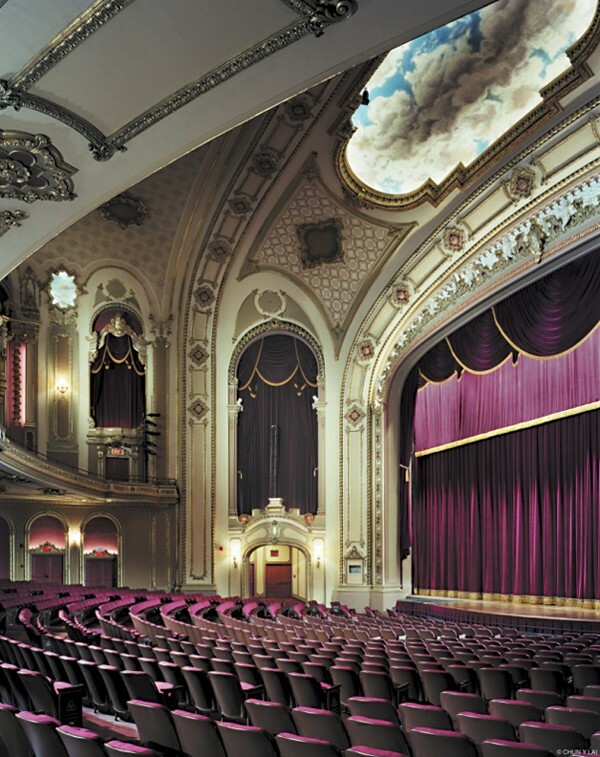 CSS artists then went to work restoring the 2700-seat theatre designed by famed movie palace architect John Eberson (in a departure from his more typical atmospheric designs) to its former grandeur. 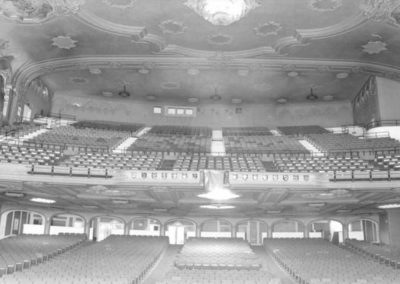 Damaged ornamental plaster throughout the 1931 theatre was repaired and restored, followed by the restoration of the gilding, glazing, stenciling and polychromatic painting. 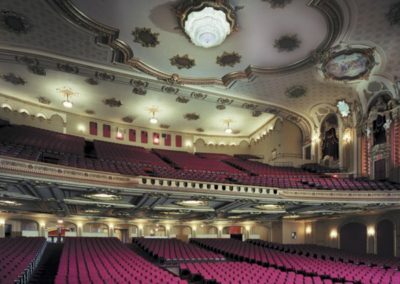 Studio artists also conserved the theatre’s historic murals by Andrew Karoly and Jules Zartol to reflect their original beauty. 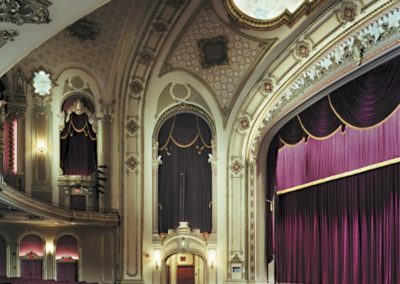 Fabric and draperies inspired by the originals have been provided throughout the theatre. The fast-tracked project was completed in three and a half months.